By Paul LaViolette | April 3, 2019 - 9:23 pm | April 7, 2019 Astronomy, News! There have been many websites on the net that have appropriated the superwave concept for their own purposes and have sidelined Dr. LaViolette and the Starburst Foundation, in the sense that their names are NEVER mentioned when they discuss the coming superwave event. They claim to have high ideals of helping humanity. But if they really followed the ideals they preach, they would have made citations to Dr. LaViolette’s work. This has caused great distress to the Starburst Foundation effort to awaken the world to the imminent danger of the superwave phenomenon. Maybe they don’t realize how difficult it was for Dr. LaViolette to research this phenomenon and ultimately get the word out to warn humanity. So we will take a moment to explain a bit about the development of the superwave theory. The superwave theory was developed by Paul LaViolette as part of his Ph.D. research at the Portland State University Department of Systems Science. Most universities are well funded and provide money to their students to fund their scientific research. PSU, however, had no funds available. So Dr. LaViolette was left to live the life of a pauper over the 6 year period (1978 – 1983) during which he undertook his research, assisted only by periodic donations from his parents. He underwent great criticism while doing this research. Just two weeks before his orals, two geologists resigned from his dissertation committee after learning that he first got the idea about the superwave phenomenon from an ancient timecapsule message cryptographically encoded in the lore of astrology, along with hints provided by various star lore myths. Their departure happened even after he had already successfully proven his hypothesis through analysis of polar ice for the presence of cosmic dust. Also he had a wealth of astronomical data backing up his claims. Even though he made no mention in his dissertation of how he got the idea, it was too much for the little minds of these two local yokel nobody professors. Fortunately, he was able to replace them with well known professors from other universities. Apparently, one of the geologists who left his committee had a very big mouth, because later LaViolette had to endure the insult of one geology student who told him to his face that it was a mistake for them to let him take up time on their gamma ray detector for his thesis since “everyone knows that your theory is completely crazy.” Dr. LaViolette was able to pay for the neutron activation analysis he had performed through assistance from the Department of Energy. The whole project to analyze polar ice was essentially done on a shoe string. But the findings turned out to be very important. In general, scientists developing new scientific theories are met with an incredible amount of resistance from their peers. LaViolette had difficulty publishing some of his findings since journal referees were convinced that the tin and lead in one of his samples was contamination. It took 30 years, but those results were finally published, resulting in five big firsts for science: 1) First discovery of high levels of cosmic dust in ice age polar ice, 2) First discovery of gold in polar ice, 3) First discovery of interstellar dust in polar ice, 4) First discovery of superconducting dust particles (the tin and lead particles being superconducting in interstellar space), and finally 5) Discovery of the largest monomineralic cosmic dust particle which measured 120 microns in length. In one case, a UCLA astronomer actually stole Dr. LaViolette’s findings for an article. Starburst had sent an envoy to UCLA to inform him about the superwave theory. The astronomer expressed his disapproval of LaViolette’s theory and then tried to convince this person to no longer assist Starburst, that he was wasting his time. He was left some of LaViolette’s papers and shortly afterward a science magazine article quoted him as saying that the Galactic center erupts on a 104 year cycle, not citing LaViolette as the source. At the time of LaViolette’s work, scientists had figured that our Galactic core erupts about every 10 million years, a view that has since changed. Currently, the superwave theory is not part of mainstream science. It is not taught in university astronomy classes or geology classes. Besides his books and lecture appearances, Dr. LaViolette has published many papers on the theory in refereed science journals. But there is no call to invite him to universities to speak on this subject to students and professors. Also no mainstream magazines have written about it, only alternative magazines like Nexus and Atlantis Rising. Because of this resistance to acceptance, the superwave theory is currently in a rather precarious position. The subjects of ether, Mother stars, or continuous creation need not be touched on to understand the superwave theory. It is entirely compatible with mainstream science so the only explanation of its slow acceptance is the snail-like progress of astrophysical thinking, which still even accepts the big bang theory even though it was successfully disproven many years ago. Many New Age sites have recently (mainly since 2012) appropriated the superwave idea and act as if the superwave phenomenon is a well known fact. It may be common knowledge to the Secret Space Program informants who refer to it as “the Event”. But it is not to the scientific community or to the public at large. Unfortunately, many of these New Age sites mix the superwave concept with ET history and non-scientific techno babble which would throw off base even the most open-minded of people. I am not saying that ET’s do not exist. Even the Russian Prime Minister, Medvedev has stated in a TV interview that people would panic if they knew how many alien species live on our planet. But by using the superwave idea for their own ends without reference to Dr. LaViolette and his research, they provide a disservice to humanity since they inhibit people from accessing the vast amount of information that LaViolette has compiled about the superwave phenomenon. Here we will attempt to address some misstatements being made about superwaves. First, who is Cobra? According to postings on the internet, Cobra is a pseudoname for a human who claims to be a Pleiadian incarnate and who is part of the “Resistance Movement” that intends to overthrow the secret government ruling Earth and to expel alien races who have been living below the surface, and suppressing humanity’s technological development. 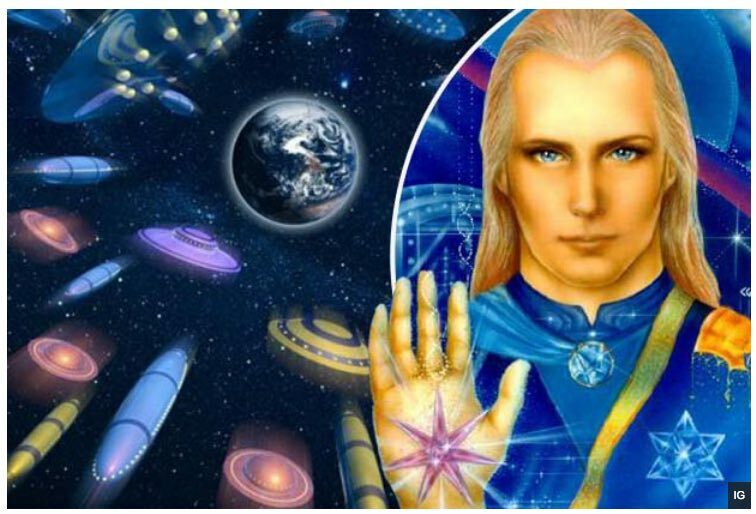 According to Cobra, the terrestrial resistance movement is being assisted in this effort by an extraterrestrial race known as the Pleiadians who many may know from the Billy Meier’s photos. It is difficult to validate the claims Cobra makes about this ongoing ET war. However, enough believable disclosures have occurred recently (Medvedev’s disclosure, Charles Hall’s testimony about the Tall Whites at Area 57, and Phil Schneider’s testimonies about the battle at the secret underground facility at Dulce, NM) that we are encouraged to at least soberly view what Cobra has to say, albeit with a critical eye. However, after all is said and done the markings of fraud are written across this. Cobra offers a good reason to remain anonymous. He claims that members of the Cabal (the secret organization ruling Earth governments) have been trying to assassinate him and even had succeeded in torturing some of his close friends. He began making anonymous contact with one group in 2012. He said that he was coming forward to share information about the various ET races that are providing assistance to humanity and to give people an idea of the big change that will occur in the immediate future, which he calls “the Event.” He says this will involve major political changes and will be timed to occur at the time of the arrival of the next superwave. As a result, the superwave concept has now become attached to ET lore in websites across the internet. Unfortunately, Dr. LaViolette’s name is not mentioned leaving people to learn about the phenomenon only from Cobra’s terse statements. In doing so, Cobra often does not use the proper spelling “superwave”, spelling it instead as “super wave”. It is distressing to Dr. LaViolette that others try to change the name of the phenomenon that he first conceived and named. Still to this day he is attempting to convince the mainstream media and astronomers that the phenomenon is real. When others commandeer a name and change it for their own purposes, this ultimately threatens the viability of the written word. Also LaViolette’s name is not mentioned, even though he has been studying the phenomenon for 40 years. Notice the quote below, from the Disclosure News website, which discusses the superwave phenomenon. It gives as information sources the names Wilcock and Goode, neither of whom are scientists. Steve: David Wilcock talks about a solar event that will make a big change to the DNA of humanity and consciousness to humans. Is this the same event that you are talking about? Cobra: Yes, exactly. What he talks about, the solar event or what Corey Goode talks about, is actually the galactic pulse triggering the sun. Every twenty-six thousand years there is a galactic pulse which triggers all the stars in the galaxy in a certain way, also of course when this galactic super wave reaches our solar system it will trigger our physical sun, in a way that Corey Goode and other are talking about. It’s part of the Event that I am describing. It is not only the activity of our physical sun but is connected to the activity to the galactic central sun and on the drastic changes on this planet and on the removal of the cabal, reset of the financial system, and the process of full disclosure and everything that is connected with that. Cobra – ok, the solar flash is one aspect, actually the solar flash is one sub-aspect of the Galactic super wave, so the Sun gets activated when the Galactic Central Sun gets activated, and when the Galactic Central Sun gets activated it activates our physical Sun and both combined activate the planet Earth, they activate…it’s a very strong wave of energies, not just physical, not just energetic. The Sun doesn’t get activated when the Galactic core (Central Sun) is activated. This is nonsense. A superwave takes at least 23,000 years to travel from the Galactic core to our Solar System. Even after the superwave arrives, it takes time before the Sun becomes active since it would take months for the superwave to push cosmic dust into the solar system. COBRA – OK. The center of the earth is a Stargate and this Stargate will be triggered by the Galactic Pulse and the energy of that Stargate in the center of the earth will reach the surface. In a way it is an energy of the Galactic Super-wave filtered through a certain, I would say, energy filter and then distributed throughout the planet. It is postings like this that make Cobra seem highly suspicious. First it is complete baloney to say that the superwave energy (i.e., cosmic ray electrons and EM radiation) is filtered through a “stargate” and then distributed to the surface of the planet. The superwave cosmic rays are not even filtered by the core of the Earth (that’s BS). They do not come from below; they come from above. They are attenuated somewhat by the Earth’s magnetic field, but ultimately they reach the Earth’s surface from above. The gravity wave associated with the superwave passes right through the Earth and can affect the Earth gravitationally, exerting a momentary tug, but relays nothing to the surface. COBRA – It has not reached the planet as you can obviously see. And outside a certain area of the solar system, the physical wave is traveling with superluminal speeds. It does not travel with the speed of light but with much greater speed. This statement is patently false. Maybe Cobra is no scientist and does not have a good understanding of superwaves. But to claim that this is enlightened information from extraterrestrial races in the know is total BS. The superwave’s cosmic ray component travels at very close to the speed of light; i.e., o.99999 c, and their forward progress could be slowed down a bit by scattering that would occur on their journey. The gravity wave would arrive somewhat sooner (perhaps a few days sooner) because it would be somewhat superluminal at the beginning of its journey because the gravity wave would be surfing an ether wind that would be flowing radially outward from the Galactic core. LaViolette has demonstrated this superluminal effect in laboratory experiments conducted at Guy Obolensky’s New York laboratory. These experiments are summarized in his book Secrets of Antigravity Propulsion, and in a posting on this website. So far LaViolette and Obolensky have demonstrated superluminal speeds for electric field scalar shock fronts (called Coulomb waves). Currently he is researching whether this ether wind phenomenon can also cause material particles to achieve superluminal speeds. But at present this has not been demonstrated. Even if the cosmic ray electrons could attain superluminal speeds by surfing the ether wind, their speeds would rapidly decline to the speed of light just as is observed for the Coulomb wave experiments. This is because of the superwave geometry. The superwave is not a jet directed at Earth; it is an expanding spherical shell of energy, and as it expands, both the cosmic ray intensity and ether wind velocity rapidly decrease. So even if the electrons were to attain superluminal speeds at the beginning of their journey, their speed would end up being close to the speed of light. Cobra’s statement that they would travel “with the speed of light, but with much greater speed.” is quite vague and confusing. On the Prepare for Change website, Cobra reported that there will be “delays” in the exact date of the “Event” due to the errors of humanity; see below. But he also claims that the Event will occur at the time of the superwave. Hence he leaves everyone to conclude that the speed with which superwave travels through space depends on human consciousness, i.e., ANTHROPOMORPHISM in capital letters. COBRA – We are getting closer day by day. I know there are many delays. Part of those delays are based on human inefficiency, human error, human mistakes. Part of those delays are based on other factors but I would say that we are getting closer. In actual fact the speed of the superwave cosmic rays is very close to the speed of light, and no human errors are going to change that. If this Cobra is in fact in touch with real ETs, he should know the exact date of arrival of the superwave. He is asked many times, but refuses to give the date. Maybe he wishes to avoid a market panic? Probably wishful thinking. For him to say that human consciousness affects the date of the superwave’s arrival seems just a ploy to blow smoke in people’s eyes. At least here he spelled the word properly. We believe that when this Gravitational wave and/or Superwave hits our Solar System and the Earth, it will trigger the Rapid Magnetic Pole Reversal and this may be the Cosmic Event Cobra is referring to. Again, this group did not contact Dr. LaViolette to check out their claims. The superwave will not trigger a geomagnetic reversal. It will affect the geomagnetic field, and the pole direction may deflect a few degrees, but the field will not reverse. How do we know this? Because, in the past 80,000 years we have had three reversals of varying durations. In each case these were caused by solar events which arose because our Sun was active during the ice age. Field reversals occur when a super solar flare floods the storm time radiation belts (which encircle the Earth) with solar cosmic ray particles. These trapped particles then create a magnetic dynamo effect which weakens the Earth’s field, bringing the field intensity close to zero. At that point the field can reverse. So the sequence is superwave — creates a dust cloud around the Solar System — pushes this dust into the solar system — the dust aggravates the Sun into a T Tauri like star which periodically emits super flares — a sufficiently large flare would be able to cause a reversal. But it is not likely because the superwave would need to be a major one, of magnitude 3 or 4 that lasted at least 1000 years. During such a period the Sun could become sufficiently active to cause a reversal. An example of this would be the superwave that hit around 42,000 BP and wiped out the Neanderthals. However, so far no reversals have been found to coincide with the solar flare event that wiped out the Pleistocene megafauna in 12,837 years BP or the solar outburst that occurred at the end of the Younger Dryas that triggered glacier wave floods close to 11,600 year BP, the flood date memorialized in Plato’s story of Atlantis. Lynn – In your June interview, Cobra, you spoke about how all the Universes were absorbed into this one around the year 1999. You said it was very fast and intense when the other universes came through a worm hole into this one. Was there anything that was seen or observed from Earth regarding this event? This statement fairly well shows Cobra’s colors. It seems to resemble channelled New Age BS. The idea of Universes combining with our own on 1999 is so preposterous, it indicates that one cannot take seriously anything that Cobra says. He can hide behind anonymity and fool some of the people some of the time. But he can’t fool all of us. The picture emerging here is that he is a hoax. The Renegade of Light website claims to have found out the identity of Cobra back in 2012. He is apparently an antique dealer and astrologer living in Slovania and also claims to be “a priest of sacred sexuality”. He goes by the name of “Istar Antares” and his email is listed as antarion@volja.net. So I think this pretty much confirms our suspicions about this guy. Why is he putting out this nonsense? It only gives people false hopes and confuses people about the really important things like the imminent arrival of the next superwave.